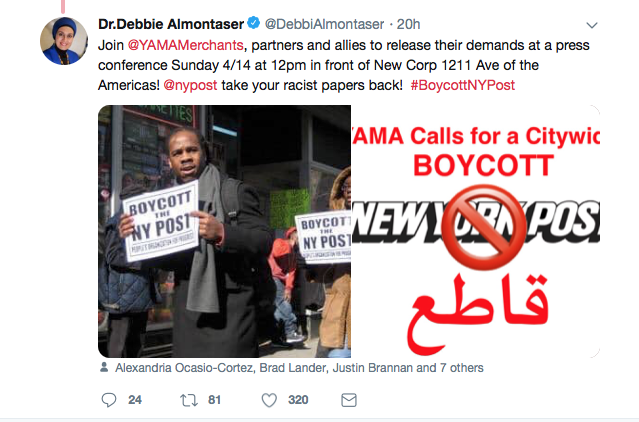 So, of course, Muslims are calling on New Yorkers to boycott the paper. 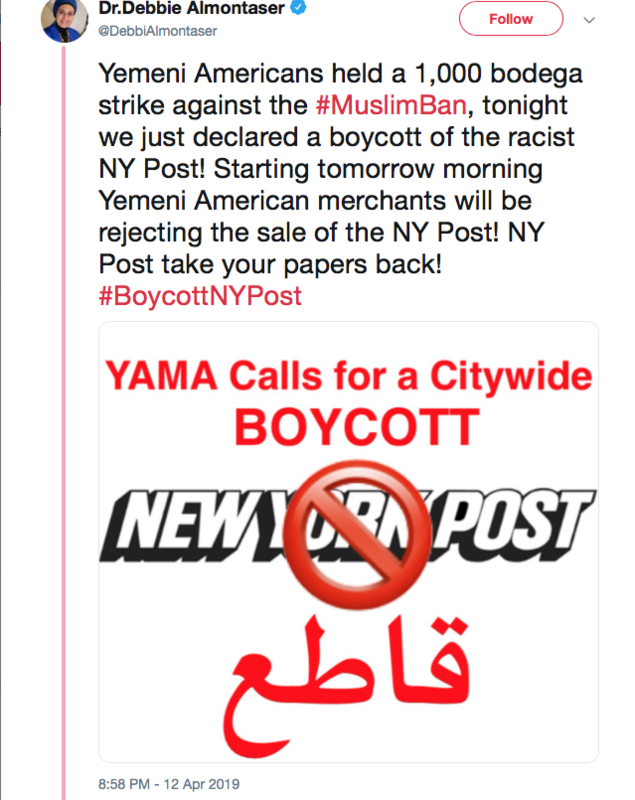 I think I’ll take out a subscription as the New York Post is the only newspaper in NYC I read as it exposes the dark side of Islam and refuses to pander to Muslim pressure groups like CAIR. Aha! A newspaper that actually reports the NEWS. How refreshing. Most newspapers these days are propaganda tabloids. 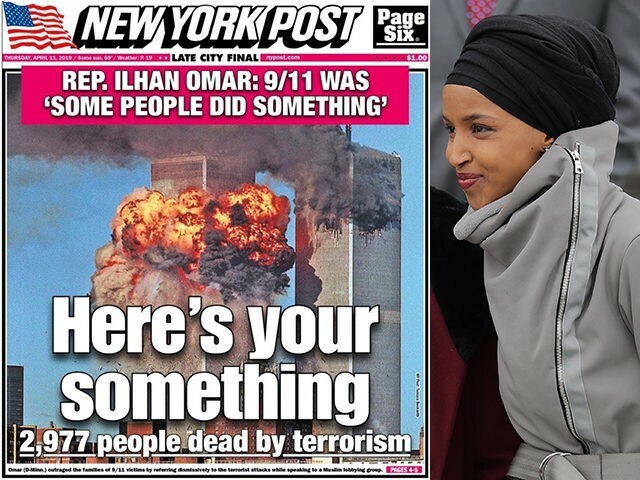 The Post has been that way since 9/11. Unfortunately much of their writing is on a fourth-grade level. I prefer 4th grade truth over Harvard graduates lies and propaganda. So do I, but must we choose? DS, You don’t need to read any newspapers today because of the internet. I haven’t picked up a copy of the NY Times in at least a decade. The Daily News was always left wing trash. 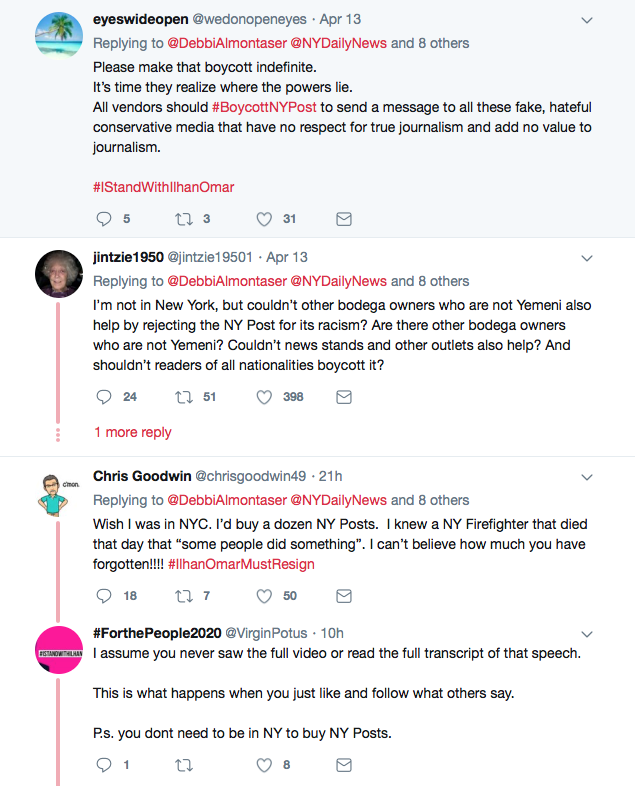 According to anti-freedom, callous American haters, having great GRIEF and SORROW over the savage slaughter of our cherished 3,000 non-Muslim brother and sister innocents by Muslims is RACIST. My sorrow and grief never go away. God BLESS the NEW YORK POST! 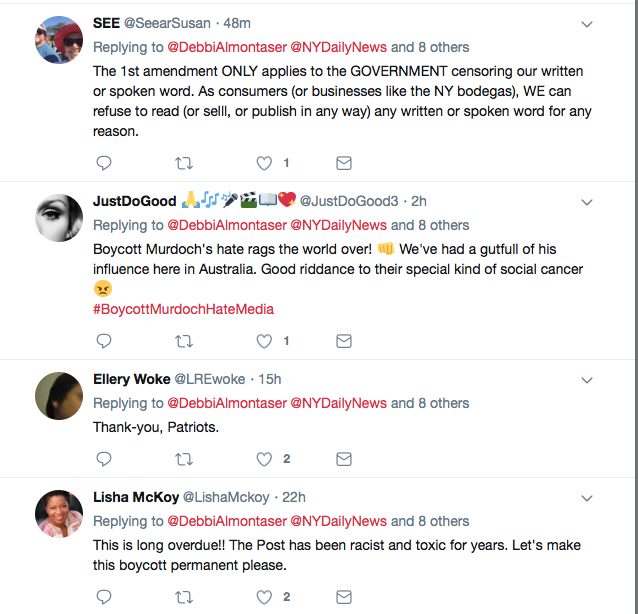 GOD FOREVER BLESS and PROTECT Murdoch and all of the employees and workers at New York Post! You are the Very Best! At least one decent paper in NY. I’ll remember the Post…. Yes , if you want a conservative voice to continue you have to subscribe to keep their “wheels turning” or they close and then you can’t complain when they have gone. I subscribe to Herald Sun and The Australian even though I don’t read it often. I see it as a form of “AID” just like I donate to BNI. Nice to know this. I just figured all these newspapers were trash. Thank you, Bonnie! Ms. L, there are a lot of rumors, but I haven’t seen anything confirming he is Muslim. It’s usually converts TO Islam who change their name to something Islamic. Have never heard of anyone doing it the other way. But who knows? The truth will eventually come out. No, it’s not that high, but higher than all the other NYC papers combined. 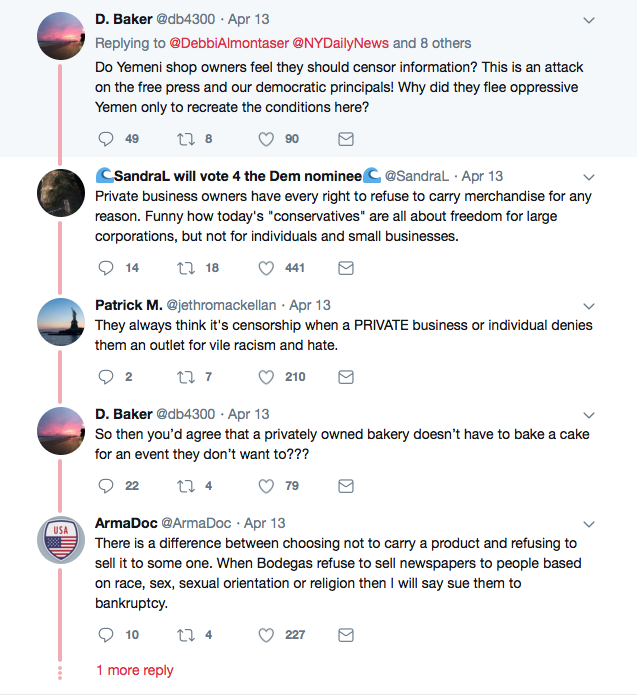 i live in new york and you are right the new york post is the only paper i read,the daily news is a liberal rag,the post tells it like it is,and the putz mayor deblasio hates it,the post calls him out all the time. New York Post is part of Rupert’s empire. Same as FOX , Hannity etc . Love ’em ! !